The Institute for Environmental Security (IES) is an international non-profit non-governmental organisation established in 2002 in The Hague, The Netherlands with representatives in Brussels, London, Luxembourg, Addis Ababa, Beirut, Islamabad, California, New York, Toronto and Washington, DC. The IES works to increase political attention to environmental security as a means to help safeguard essential conditions for peace and sustainable development. EDRC’s Director, Ronald A. Kingham, was the author / editor of "Horizon 21: Feasibility Study for the Institute for Environmental Security", (IES, The Hague, 2002). He served on the original IES Board and later served as IES Director until September 2017. He remains a senior advisor and the IES representative in Brussels. From 9 to 12 May 2004, the IES led the organisation of "The Hague Conference on Environment, Security and Sustainable Development", held at the Peace Palace in The Netherlands. The objective of the conference and its follow-up is to promote more sustainable relationships between people, their environment and the natural resources they depend on. 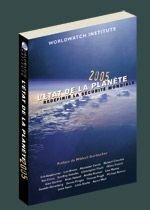 In the State of the World report 2005, Worldwatch Institute researchers explore the underlying sources of global insecurity including poverty, infectious disease, environmental degradation, and rising competition over oil and other resources. On 28 February and 1 March 2005, the IES co-organised symposia on the report at the Peace Palace in The Hague and at the European Parliament in Brussels. The conference examined relationships between environment and security in the four stages of the conflict cycle: predicting instability; preventing conflict; managing conflict; and recovery and transition. 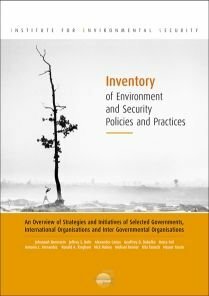 This report, edited by Ronald A. Kingham, provides an easy to use comparative overview of existing governmental and inter-governmental positions and actions dealing with the relationship between environment, security and sustainable development. GLOBE-EU and IES co-organised this conference on "Greening Foreign and Security Policy: The Role of Europe" at the European Parliament in Brussels on 6-7 December 2006. The aim of the meeting was to help promote a political process for the better integration of environment and sustainable development into European foreign and security policies. 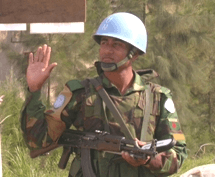 Prevention, management and transformation of armed conflict implies a range of challenges for the military security sector as well as for the development sector. To discuss these challenges, the IES and IUCN-CEESP brought together decision makers, opinion leaders, peacekeeping professionals, scientists and NGOs in the Peace Palace on 14 and 15 March 2007. 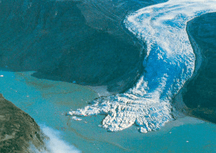 On 23 April 2008, The IES co-organised with the Swedish Defence Research Agency (FOI) a half day symposium during which Dr. Peter Halden presented his recent book on "The Geopolitics of Climate Change". During his speech, Halden explained that "climate, in itself, is not a threat" and that its consequences are rather conditioned by the contexts of the societies facing them. Globalization and Environmental Challenges pose new security dangers and concerns. 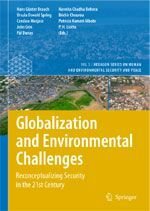 In this book, 92 authors from 5 continents assess the global reconceptualization of security triggered by the end of the Cold War, globalization and global Tenvironmental change in the early 21st century. On 14 July, the book was presented to the public in Brussels. For any new climate agreement to operate effectively there will have to be changes to the way the World Trade Organisation, the World Bank and the International Monetary Fund work. 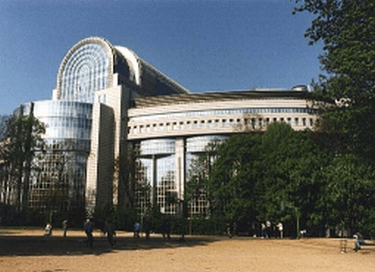 This seminar that took place at September 15th 2008 in Brussels examined the climate-friendly changes needed by these organisations to underpin an agreement at the Copenhagen Conference of the Parties (COP) in December 2009. The objective of this roundtable workshop at the IUCN Congress in Barcelona was to bring together the world of conservation and sustainable development with the world of security and the military. In roundtables participants looked into the aspects of environmental security issues in various phases of violent conflict and how this may play out in different parts of the world. One of the great untold stories of environmental success is the role of the military in assuring the success of the Montreal Protocol. 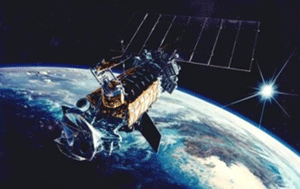 Today, the military are focusing on what they can do to reduce greenhouse gas emissions. This workshop, complementary to the EU Member States Defence Environmental Network (DEFNET) meeting, was held in Paris on 3-5 Nov 2008. With the current crises in finance, trade, environment and foreign policy, the US Presidential election result seems more important than ever to those in the rest of the world without a vote. What will the implications be for foreign policy and transatlantic relations? The IES co-organised the seminar "After the Vote" in Brussels on 12 November 2008 to examine such issues. On 13 November 2008, the Institute for Environmental Security facilitated the organisation of the ENVSEC Conference in Brussels. The meeting, held at the European Parliament, was designed to bring the ENVSEC Initiative closer to the European sphere in Brussels and encourage new forms of cooperation with EU policy makers in the fields of environment and security. 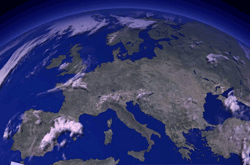 Immediately after the UN Climate Change talks in Poznan, the IES co-organised the "Planet in Peril" conference in Brussels on 15 December 2008. Experts from the EU and US evaluated the Poznan outcomes and considered the prospects for the world forging a new accord by December 2009 and the implications for international relations and security. In this round table, hosted by the Graduate Institute, WTO and UNEP staff, NGO experts, academics and trade attaches from permanent representations in Geneva discussed the linkages between trade and climate. The possibilities to adapt the WTO regime to make it compatible with a post 2012 climate agreement and the need for more coherent trade and climate policy in capitals were central topics in the discussion. In the struggle to contain damage from climate change, the negotiations at Copenhagen will be crucial. 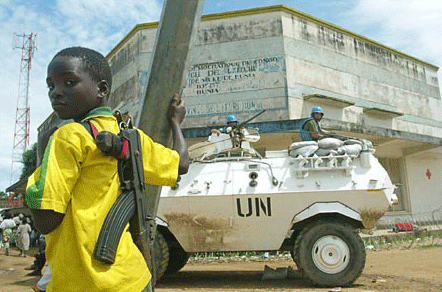 These negotiations take place against the background of a complex and rapidly changing international situation. Now, what can be done to ensure effective co-operation between Washington and Brussels in 2009 and beyond? This was discussed in Brussels on October 7-8, 2009. The objective of this conference was to highlight the perspective of the world's militaries into the dialogue about impending security threats, focusing on two areas of threats, Afghanistan and glacial melt at the Third Pole. The conference witnessed the official release of the Military Advisory Council's First Statement, endorsed by senior officers from eight different countries, including the USA, India and the UK. 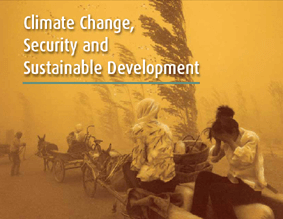 On 17 December, the Institute for Environmental Security is taking part to a side event entitled "Delivering climate security: International coordination around security threats from climate change". The event, organised by E3G in partnership with IES, Chatham House and the Energy Security Initiative of Brookings, will gather leading climate security experts to explore climate change impacts on national security and how the global climate regime can address this threat. On 17 February 2010 the Institute for Environmental Security, in association with the EastWeast Institute and within the framework of the Seventh Annual Worldwide Security Conference, organised the workshop "Climate Change & Security after Copenhagen". On 20 April 2010 the Institute for Environmental Security, in collaboration with the T.M.C. Asser Institute for Private and Public International Law, organised a workshop on "The Hague Environmental Law Facility (HELF)". The aim of this programme was to create an array of practical decision tools, strategic maps and initial policy recommendations for decision makers in government, the private sector and NGOs on supporting people's livelihoods that depend on globally significant ecosystems. EnviroSecurity Assessments were produced for Kalimantan, Indonesia, Great Lakes, Africa; Matavén, Colombia; Congo Basin, Africa; Horn of Africa and the Mekong River Basin. The ESPA programme also involved the organisation of the conference on 'Illegal Trade in Natural Resources - What can Brussels do?' at the European Parliament, September, 2010. 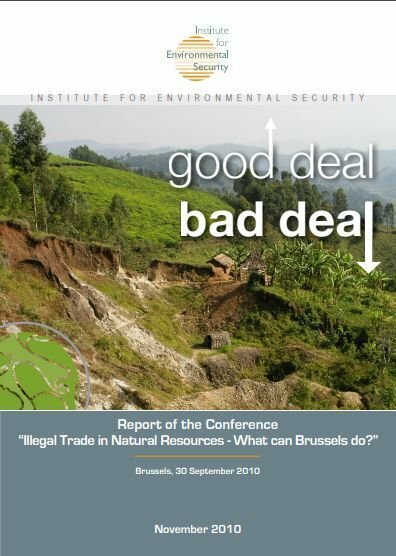 Illegal Trade in Natural Resources - What can Brussels do? The conference report, “Good Deal; Bad Deal” notes that natural resources are the backbone of the global economy. Many emerging economies are based on exporting natural resources to industrialised countries fuelling global markets in much needed raw materials. In accountable States, the income generated should be used to serve development needs, for example to finance the construction of infrastructures or programmes for poverty alleviation. However, governments sometimes lack the capacity or the legitimacy to regulate the exploitation of these assets. 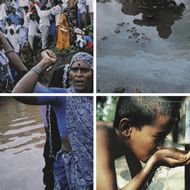 In these cases, natural resources can become a cause for corruption, social disputes and even violent conflicts. Provide a global overview of the issues at stake through various perspectives (environment, trade, development, peace & security). Improve the understanding of the dynamics and actors behind illegal trade in natural resources. This project involving IES, EDRC and other partners centred on the publication "Climate Change and Security in Africa: Vulnerability Report". The report recognises that the security implications of climate change are of increasing relevance to peace and human security. In Africa - where adaptation mechanisms may be limited or uncoordinated – many communities are especially vulnerable to insecurity related to water, food, energy, migration and natural hazards. 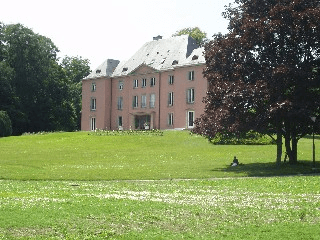 In 2007 several associates of EDRC and IES assisted in the preparation of a background paper and in the organisation of an OSCE workshop on Environment and Security held in Austria. The event was part of the preparations for the 15th OSCE ministerial council held in Madrid on 29 and 30 November. Discussions on the subject resulted in a decision on water management and the Madrid Declaration on Environment and Security which calls for intensified cooperation in the area of environment and security in the OSCE region. 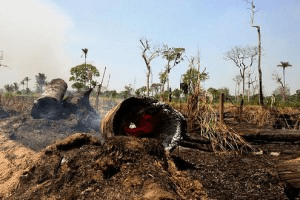 It acknowledges that environmental factors such as soil degradation and climate change can be a potential additional contributor to conflict and signals that environmental cooperation could be a useful tool in diminishing tensions and preventing conflicts. On behalf of EDRC and IES, Ron Kingham, presented a background paper on “Economic and Environmental Confidence and Peace-building Measures and the Role of the OSCE” and moderated the panel debate on Recommendations for OSCE Action at the OSCE Chairmanship on Economic and Environmental Activities as Confidence-building Measures on 30 May 2011. 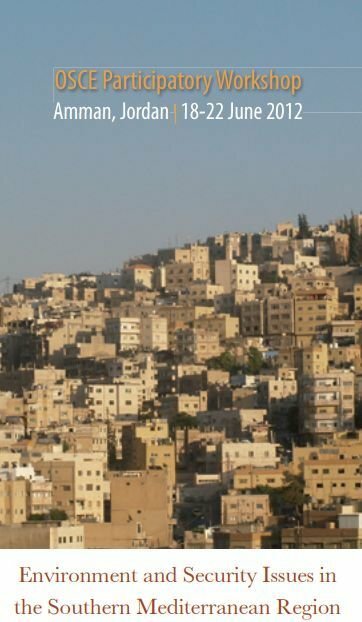 Several experts associated with EDRC and IES assisted in the organisations of the Participatory Workshop on Environment and Security Issues in the Southern Mediterranean Region held in Amman, Jordan, 18-22 June 2012. On 6 November 2012, the IES organised a seminar on “Climate & Security Envoys – New Developments in Climate Change and Security” in the European Parliament where a distinguished group of speakers examined the role of climate and security envoys. 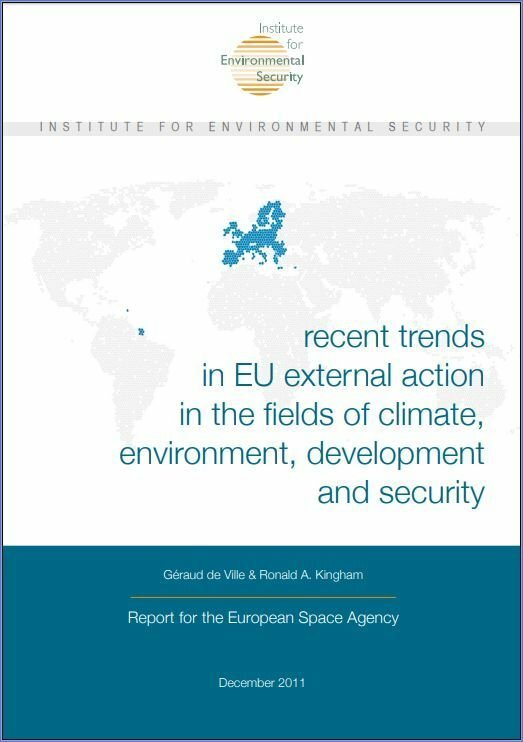 This report was prepared at the request of the European Space Agency in order to provide the ESA with information on the evolution of EU external action in the fields of climate, environment, development and security. The main aim was to advise the Agency on the latest)developments in the EU external action in these policy areas. This EU FP7 involving IES and 8 other partners focused on community owned solutions for the management of ecosystem services with the potential to act as showcases for determining the most effective and efficient use of these emerging funding streams in order to maximise social justice and ecological sustainability. 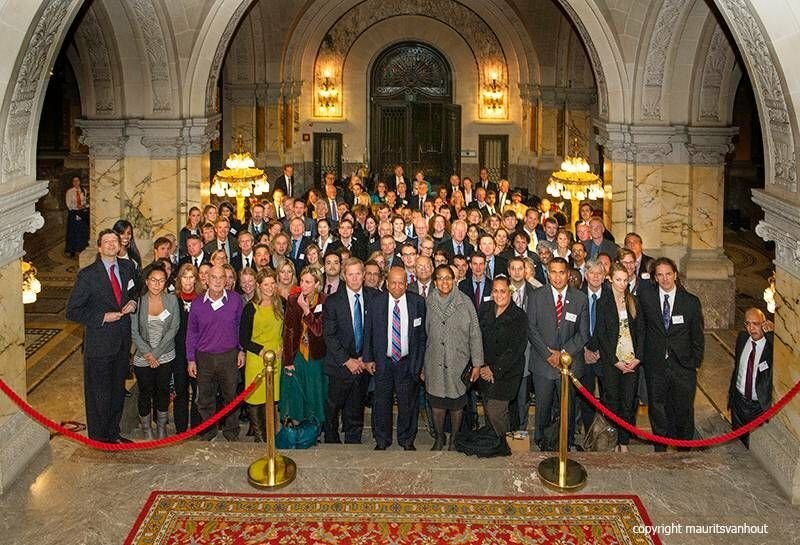 In 2015, EDRC and IES Director, Ron Kingham, assisted the Ministry of Foreign Affairs of the Netherlands with the organisation of the conference on "Planetary Security: Peace and Cooperation in Times of Climate Change and Global Environmental Challenges”, Peace Palace, The Hague, The Netherlands, 2-3 Nov 2015. Several others associated with EDRC and IES played leading roles in the conference as well - including the main organiser, Alexander Verbeek, then Strategic Policy Advisor on Global Issues in the Netherlands Ministry of Foreign Affairs. Also involved from EDRC / IES were Jenny Clover, Nishat Kazmi, Philippe Rekacewicz, and Nasser Yassin. In 2016-2017 IES was a member of the PSI consortium which organised the 2nd Planetary Security Conference in December 2016. For more information including on the 2017 and 2019 conferences visit the PSI website.